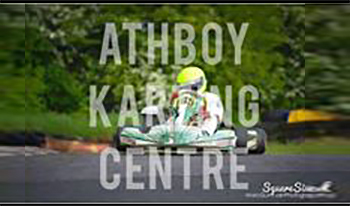 We are one of Irelands largest and fastest Karting Circuits. With a 950 metre National kart racing Circuit, it provides thrills and excitement to both professional and novice karting enthusiasts. The track hosts a wide array of yearly events including The National Motorsport Ireland Karting Championship, The National Mini Moto Championship, The TullyAllen karting Club Championship and the Leinster Karting Club Championship. We run a fleet of fifteen 270cc Sodi Karts which are open to hire for Individual Karting Sessions, Group Bookings, Corporate Team building Events, Stag & Hen Parties and Fun Days out. We also provide Kart Testing for both leisure purposes and the professional Kart Racer. The track is equiped with two magnetic timing strips for use with onboard timing systems. We also provide an in house timing system compatible with all AMB and MY laps Transponders. We cater for Individual Karting Sessions, Group Bookings, Corporate Team Building Events, Stag & Hen Parties and Fun Days out. We provide all relevant safety equipment, including Helmet, Gloves and Race Suit. Each person gets a 5 minute Safety and Training session prior to use of the Karts.